Stay Private, Live Slowly, Settle In. Imagine being surrounded by nature and everything that makes you stop, take deep breaths and rest. And here is where you spend, not a night or two but long days and restful nights, far from the buzz and clutter of work and routine. RARE's collection includes a few private and intimate stays, retreats, hideaways that are ideal long stay havens, perfect to 'travel slow' to feel the colours around and touch the contours of time. Small enough to make it your own with friends and family, celebrate an event or two or just make it your abode till you are ready and willing to connect back with the rest of the world. Every small and RARE hotel listed here offers myriad activities to immerse and engage yourself in - walks and hikes, nature and bird trials, community interactions, food explorations, sunsets and sundowners, a spa or two.... and above all time to read, write, sketch, space to unwind and reconnect. In nature’s land close to where the fragrance of the spices mingle with the mist is the Cardamon club in Thekaddy, Kerala. Fresh from a make-over Cardamom Club with six intimate and chic guest cottages is on the upper reaches of a small hill overlooking the main house below. 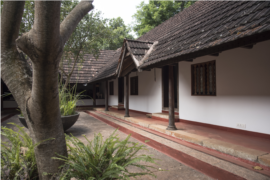 The cottages include all creature comforts with many en-suite highlights like an open to sky bathroom, a walk in wardrobe, sit-outs with views of the plantation and forests. With the signature Niraamaya Spa, Cardamon Club is ideal as a retreat for rest, rejuvenation and endless mountain air. Located on the river Ken in Madhya Pradesh , Sarai At Toria on a long stay will take you to Panna, Khajuraho, Kalinjar and Ajaygarh. 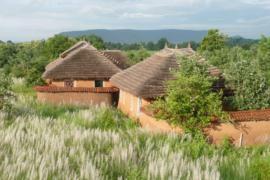 Earthy cottages fashioned after the local village houses with the aim to inspire villagers to see the advantages of local architecture. Set in 11 acres of stunning land features, Sarai offers many dining choices like breakfast by the river, lunch under the spreading Ficus tree and dinner by candle light under a star- lit sky. The open pavilion overlooking the river doubles as a lounge and dining, but at Sarai it’s in the river you will find zen. In an enchanting village against the backdrop of a heritage church, Champakali is an intimate and stylish space with two large independent villas of three bedrooms each. Sparkling white walls, tiled roofs, intricately designed railings along with bright splashes of colour that come from modern and vintage object d’art and handpicked furnishings add character and a subtle sense of luxury. This little gem will entice you to savour old Goa of sleepy villages, mandering rivers, old churches and a whiff of colonial ambience in the air. 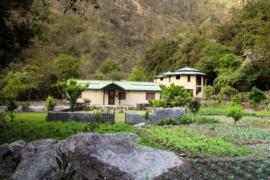 Inside the Binsar sanctuary of Kumaon Himalayas and just below the zero point lies Mary Budden Estate. 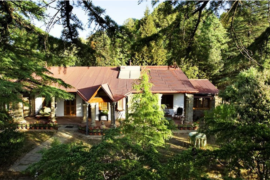 Thickly wooded, virtually an extension of the Binsar forests is the five acre estate that could be yours as an exclusive retreat, a home in the hills. The estate has two charming cottages – the Mary Budden Cottage and the Rhododendron Cottage that together offer six exquisitely furnished rooms with generous sit-out and outdoor spaces. Each cottage has its own dining room as well as living room and verandah hence ideal for friends and families travelling together. 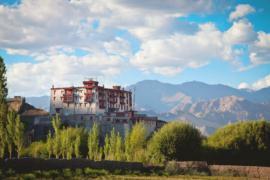 A Palace complex that is stately on the outside and mysterious inside, its shaded corridors and courtyards leading you into startlingly colorful spaces - Stok Palace in Ladakh has six suites, indulgent and comfortable with modern bathrooms that will surprise you. So you have the queen’s chambers elegant and colorful, while the other suites and rooms are classic and simple yet each of them distinct from the other. Set close within the sprawling Palace estate, amidst gardens of old apricot, walnut and willow, the private and exclusive Chulli Bagh Villas allows you to enjoy apricot blossoms in the month of April, mesmerizing autumn colors in October and the ethereal moon lit nights. Bera Safari Lodge’s philosophy and conservation is contained in its logo and promise of upholding the harmony of ‘leopards and shepherds’ in the Jawai region of Rajasthan. 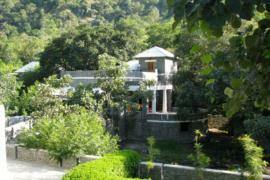 Five spacious cottages on a ten acre estate, look out to the forests and the now famous Liloda hill. 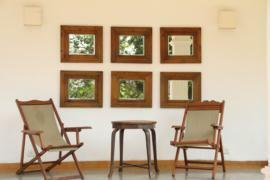 Well-lit with picture windows stretching wall to wall, the cottages give you glimpses of untamed nature. Landscape around will soon flourish with indigenous trees and shrubs, eventually to be a part of the surrounding forest itself. Shatrunjay and Katyayani’s personal attention is in tune with lodge’s ideal of preserving the wild while empowering the community. A Seven suites boutique getaway in Kumaon, set amidst an organic farm and carefully planted vegetation of flowering and fruiting trees is Soulitude, literally by the riverside. Less than an hour’s drive from Kathgodam, you will be dropped as far as an ancient bridge near Chanfi village, all steel arches and ropes and wooden floors, a relic of the British design. Make this your retreat to spend perfect days exploring or sitting by the riverside or exploring the many interesting villages and trails on foot. Four suites tucked away in the Aravali ranges is Mountbatten Lodge in Rajasthan, inspired by an anonymous whisper that lord Mountbatten once camped here. Built to reflect the British penchant for wilderness with no compromise on space or luxury- open spaces under the sun and stylishly laid out dinners. 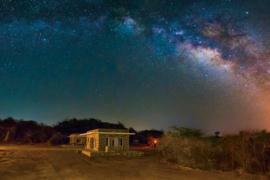 Perfect as a private paradise, the Lodge offers riding, sunset safaris, leopard safaris, treks. However it is the Jazz sessions at the bar that you will come away with and come back for more. 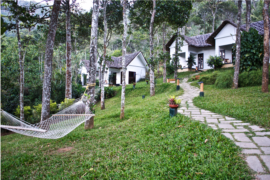 Deep in the hills of Palani just under a two-hour drive from Madurai in Tamil Nadu, Rajakkad Estate is a unique homestay promising indulgent travelers great food, peace and a good dose of fresh air. Set around the courtyards of a wooden palace, creating interesting spaces at once shaded and lit by the sky, a water body in one and a wide courtyard with a central tree in another – the estate is an invitation to song birds. Suites and rooms, beautiful in their simplicity and design with large doors leading to the gardens outside, Rajjakad with its library, dining spaces and many lounges will entice you to stop, stretch and breathe. 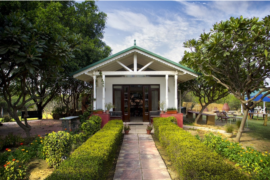 A short drive from Delhi, in the shaded environs of a few hundred trees of citrus, tangerine, laburnum and ficus are three large cottages and one cottage with three bedrooms, Peepal Kothi is perfect for a small group. This farm stay also has women and farm hands from local villages who help out in the kitchen and the gardens. Peepal Kothi is a perfect escape in winters, to enjoy freshly toasted rotis which the village women shape with their bare hands and dish them off wooden fires with a chunk of fresh white butter and green chutney ground right there.